Just popping in to announce two great get aways with Katie and I next year. 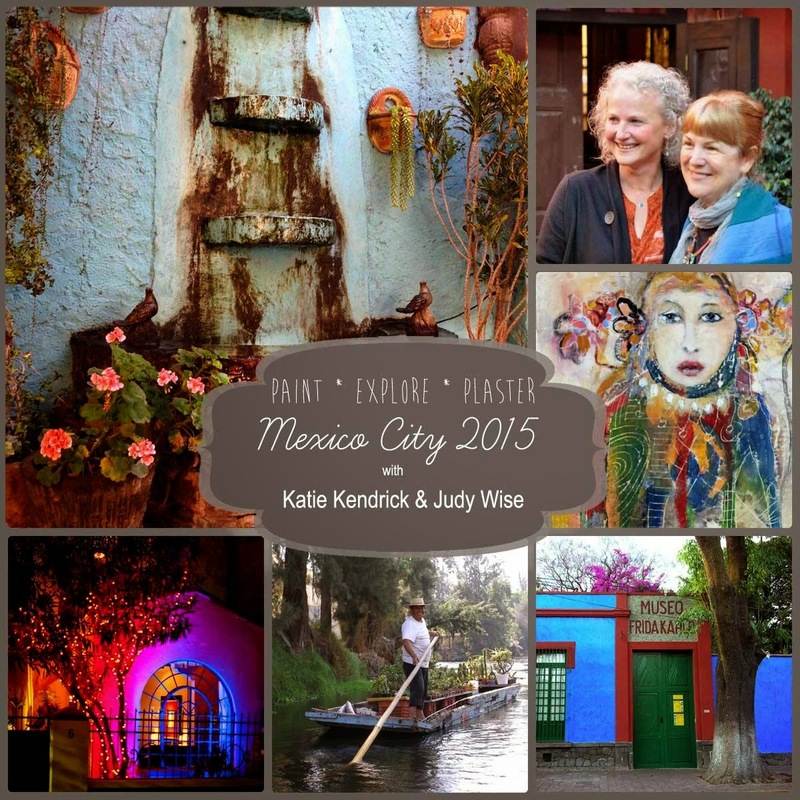 On March 14-22, 2015, Kathie Vezzani, Katie Kendrick and I will be gathering with a group of you in Mexico City to explore, paint, plaster, and have a week long party. Art, food, museums (hello Frida! ), Chapultepec and so much more are on the itinerary. If you are interested please contact Kathie. She is handling all the questions and arrangements and she knows Mexico like no one else I know. On October 9-17, 2015, the three of us will also be offering a retreat in San Miguel de Allende. At this retreat we'll be having a dinner at a private home in San Miguel where we'll have Otomi painted tortillas and will be able to use anchiote to paint. Kathie has arranged a wonderful schedule throughout the week for us as well as classes with Katie and I each day to paint, wax and plaster. It's going to be amazing. If this sound like something you'd like to do contact Katie Vezzani here. She will handle all the arrangements. She will be our awesome leader. You will swoon. 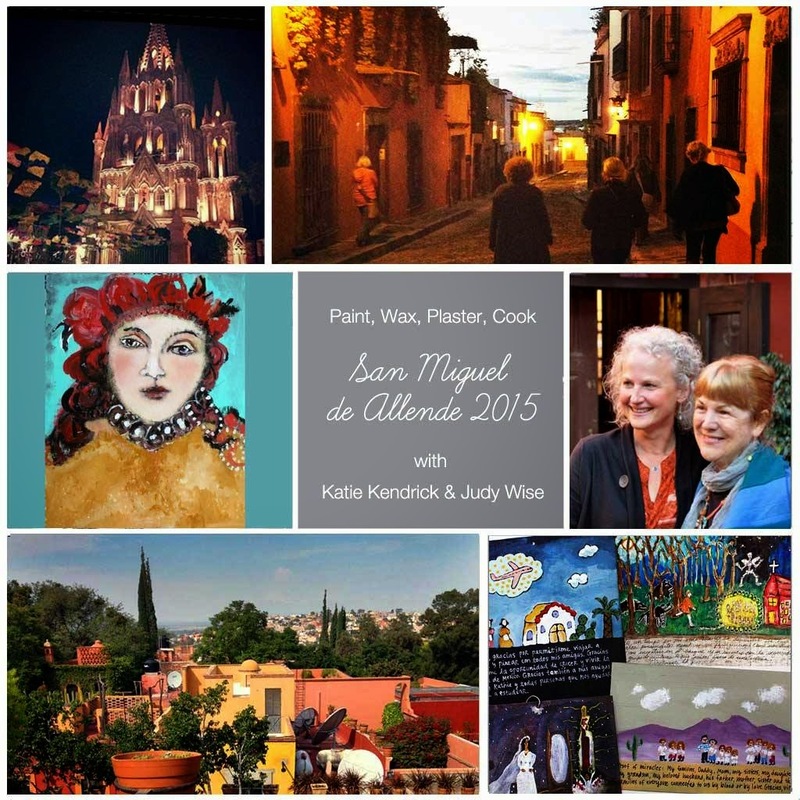 Will be painting with you wonderful women in San Miguel again. ........and I never think that far ahead. Ginger margaritas ans jicama tacos all around!! When do I actually sign up? I know in oct 2015 my oldest daughter will be starting her first year of college and this might be just the times for a little art retreat!! Oh, wow. wow wow wow. Hey, did you know that wow is spelled the same back and forth? I don't know if Bonnie has already booked this but HOW (not spelled the same backwards) could she not?! She LOVES you guys! Love love love. Why would I comment and tell you how someone else feels about you? Someone I've never even seen in person. Unlike yourself and Katie, whom I have. Seen. Well. Apparently, I should have waited a while before making a comment. I'm high on new kitty dander.